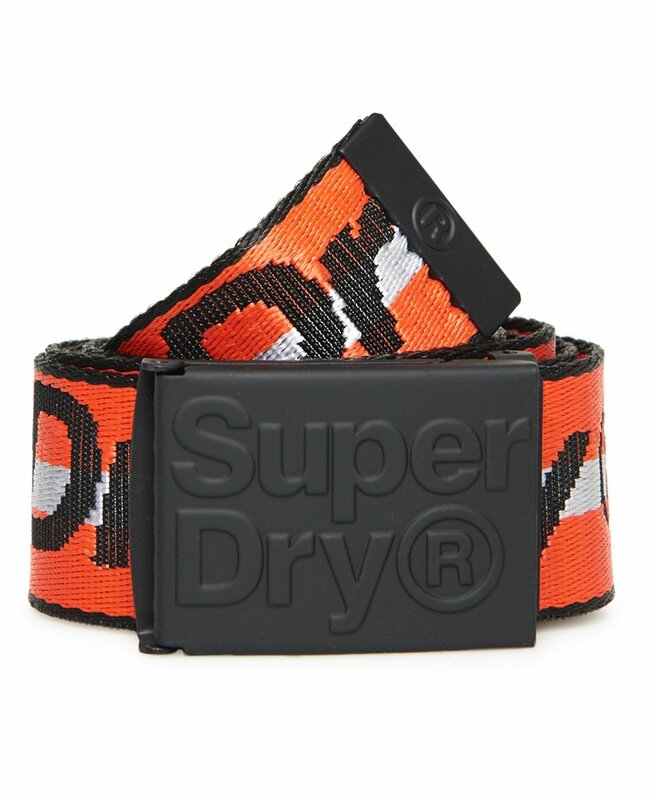 Superdry men's Blazing belt. Complete your outfit this season with the Blazing belt, featuring a Superdry logo design on side and metal buckle with an embossed Superdry logo. This belt has been completed with a metal panel end to prevent fraying.